The PC just shuts off in an instant randomly. No warnings just cuts off and attempts to restart. I get the error message as in the image link below. Can anyone explain the error message and explain how I can troubleshoot it? There have been no changes to the system, it's been fine for a year. Hello seventy7, can you boot into the computer normally or in safe mode (with networking)? If so, download and install CCleaner. Then run it. Go to "Tools" .... by default it will open the "uninstall" tab. Click on save as text file. Save it on your desktop. Upload the text file for us. I can boot as normal in between crashes.... as I am now. Sometimes I need to leave the PC off for a minute. Here's the CCleaner Text file you requested. Not finding what i was searching for. No virtual disc emaluator is present there. Do a registry scan using CCleaner. Also scan the system for possible virus infection. Could it be other software I had installed at sometime, I'm not sure what that would be. Could it have anything to do with changes to services. I remember about 2 months ago I changed some service to speed up windows but what I changed I can't remember. The PC didn't play up after making those changes. I'll scan the registry with CCleaner.... having not used the program before....what am I looking for? It would be nice to identify the issue before fixing selected issues. I'll scan again with MBAM and Avast Free ..... Although I don't hold out on that being an issue as I've been through scans many times in hope of finding something. If you have any scanning recommendations please advise. VDiskBus is usually a mechanism to control virtual hardware. Acronis and some other programs use it,to mount virtual drives. I asked you to scan the registry, if you have installed a similar program earlier and now reinstalled, but the registry entry is still present and causing troubles. 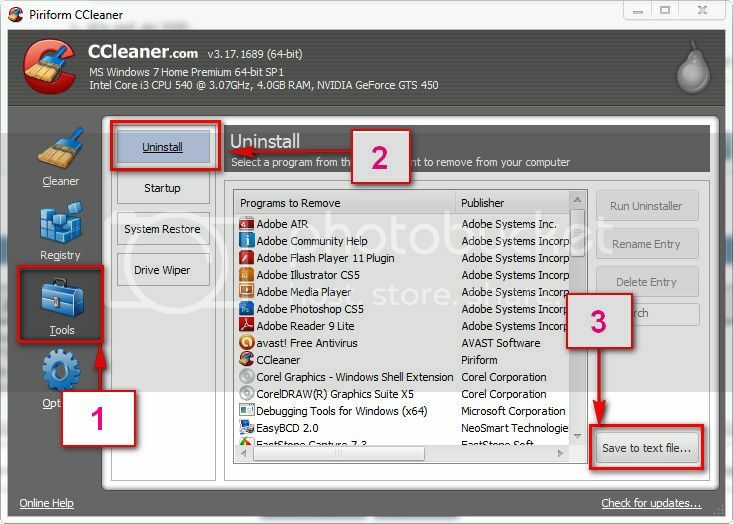 But, dont use any program other than CCleaner to do that. I asked for virus scan, if it is a malware/rootkit faking as vdiskbus.sys. For that scan, you need specialist programs, those I suggested. Malwarebytes also has similar utility aside of MBAM, that is MBAR, Malwarebytes : Malwarebytes Anti-Rootkit. I've been staring at this issue for a while now so losing concentration. I'll leave it for now and follow up with your suggestions with a fresh head. Thanks Again I'll let you know how I get on. A CMD Prompt Error Has Ravaged My System. Advice?